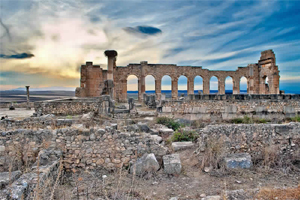 Volubilis: Volubilis is an ancient Roman city where archaeological remains are best preserved and most visited of Morocco. The area was declared a World Heritage Site by UNESCO in 1997. 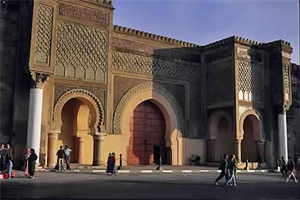 It occupies 40 hectares and is located 33 kilometers north of Meknes. Although it is best to walk discovering the ruins, there are some points that you can not miss, as the forum, the basilica and the temple of Jupiter, the baths, the Arch of Caracalla and the beautiful mosaics. Guided optional.